[Headlines] Sens’ Anderson to start tonight. Hammond recalled. Colorado College sophomore left wing, Jaden Schwartz is now leaving the school and has signed a pro contract with the St. Louis Blues. If Schwartz stays up with the St. Louis Blues into their playoff run he will receive 700,000 dollars, but if he goes to the Peoria Rivermen than he will receive a 250,000 paycheck. He will join the Blues tomorrow night against Chicago. 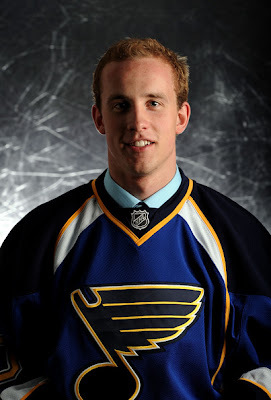 Schwartz was drafted 14th overall in the 2010 NHL draft by the St. Louis Blues. In his sophomore year at Colorado college. He recorded 41 points in 30 games this season, and he had 47 points in 30 games last season. For a total of 88 points in 30 games in two seasons of college. He also represented Canada in two World Junior Championships. In 2011, he left the tournament early with an injury but he had 3 points in 2 games. In the 2012 tournament he was named captain of the Canadian team and recorded 2 goals and 3 assists in 6 games. He will get a chance to play on the NHL’s best team as of late along with a great core of young forwards, such as Perron, Oshie, Stewart, Backes and Berglund. If Schwartz does not remain up with the Blues he would most likely be sent down to the Peoria Rivermen. Schwartz feels he is NHL ready after his great season for Colorado College. He led his team in scoring this past year. He scored 15 goals, four were game winners and five were on the power play. Sources say the Blues have some interest in Rylan Schwartz who is Jaden’s older brother. He went undrafted so he is able to sign with any NHL team if he wants to leave Colorado College.